Q.: how strictly do we need to follow the Rules? A.: at YPN we do follow the Rules strictly. A breach of rules - for example, if a programme is too long or does not contain the required pieces, or if the performer misses their slot and arrives late, almost certainly will result in disqualification. Organisers cannot be lenient because this would not be fair towards those contestants who do read and follow the rules. At YPN there have been several occasions when, sadly, a contestant had to be excluded from evaluation. Regarding the timing seconds do not count but minutes do. Q.: is YPN similar to the local music festivals in the UK where our child has been playing? A.: no. Being an international event, YPN is very different and approaches professional standards, so it is essential to know what the requirements are. Q.: do we need to post or bring with us copies of music? A.: copies are not required: the YPN jurors know the repertoire. In those cases when the jury does need the music we contact the contestant and ask to provide copies. Q.: will it be possible to practice during the competition? A.: accepted contestants will receive further information about practice slots, rehearsals, warm-ups and performances. Limited practice slots will be scheduled prior to performances. Q.: when do we have to arrive for the registration? A.: there is no particular registration time/day that all contestants must attend. The accepted contestants will receive further details about the logistics. Q.: when do we have to arrive? A.: rehearsals may take place on the day previous to the performance or on the same day. Some rehearsals may be scheduled in the evening of 21 November. Because organisers do not know how many pianists will be accepted for each category, the schedule of the competition can only be finalised after 2 October, usually within a week. On 20 and 21 November limited practice slots, for £8.00 an hour, may be available, with the priority given to the pianists arriving from outside Europe. 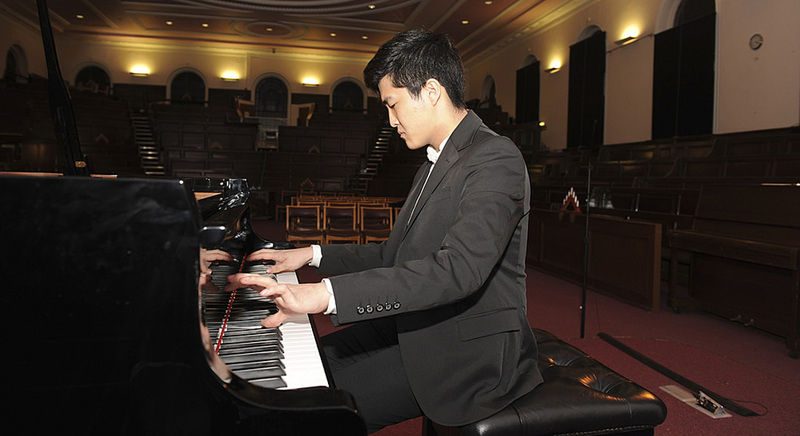 Experienced contestants often arrive at least a day before playing and spend some time, adjusting to the place, the climate and listening to the acoustics and the piano during the performances of other categories. Q.: do contestants have to arrange their own accommodation? A.: yes. The range of prices available is between £30.00 and £150.00 per night to suit all budgets and preferences. Low cost accommodation should be booked well in advance. Q.: when should we book return tickets? A.: the competition ends with the awards ceremony and the Winners Concert around 20.00 on Saturday, 25 November.